If you were a fan of 2014’s The LEGO Movie, there is plenty more of the same to love here. That’s really my only complaint about the whole thing. We’ve seen it already. That’s a pretty weak complaint, meaning this movie is GREAT! It’s a sort-of sequel to the LEGO Movie, as it is firmly placed in the same universe, but not exactly directly before or after. It’s like another day of playing with that amazing LEGO set that Will Ferrell had. Our master-builder is even making the gun noises with his mouth still (pewpewpew). Will Arnett brings back his loveable jerk Batman, Ralph Fiennes plays Alfred and Arnett’s Arrested Development Co-star Michael Cera plays Robin. Zach Galifianakis brings a “Hamill-lite” Joker and Apple phone’s own Siri gets a credit as ‘Puter, Batman’s digital assistant. The movie is also filled with great voice cameos, my favorite being both Doug Benson as Bane (OF COURSE!) and Billy Dee Williams as Two-Face (FINALLY). The plot is fairly standard for a Batman story. Batman has to stop the Joker from a dastardly plan that places Gotham City in danger. Weaved in this action are subplots involving Robin, Alfred and Commissioner Gordon as Batman has to learn to lean on others and not be such a selfish loner. Good messages for kids, covered in the sugar of incredible visuals. I’m pretty sure this was all CGI, but close ups revealing imperfections in the plastic of the characters and obvious paint applications make me think twice. It felt I was looking at actual toys. The comedy in this was great. It’s like you get a real Batman story, and a parody at the same time. It’s like the Tick, but with actual Batman in the DC universe. I think that if you aren’t a LEGO fan, but a Batman fan, you might want to wait for video… but if you watch the clips posted in this review and enjoy them at all, you might want to go check it out ASAP. It’s probably worth it just for the sheer amount of Batman Easter Eggs alone. I love the bad guy cameos in this, but I won’t be the one to spoil them. We can spoilerly talk about it down below in the comments, if you wish. In short, if you liked the LEGO Movie, you are going to like this. If you like Batman, you are going to like this. If you like artsy crap that plays at the Lagoon theater and that’s all… you aren’t going to like this. My kids said they liked this better than the LEGO Movie, but I think it’s on about the same level. I might actually give the LEGO movie a slight edge. Either way, it’s worth czeching out. 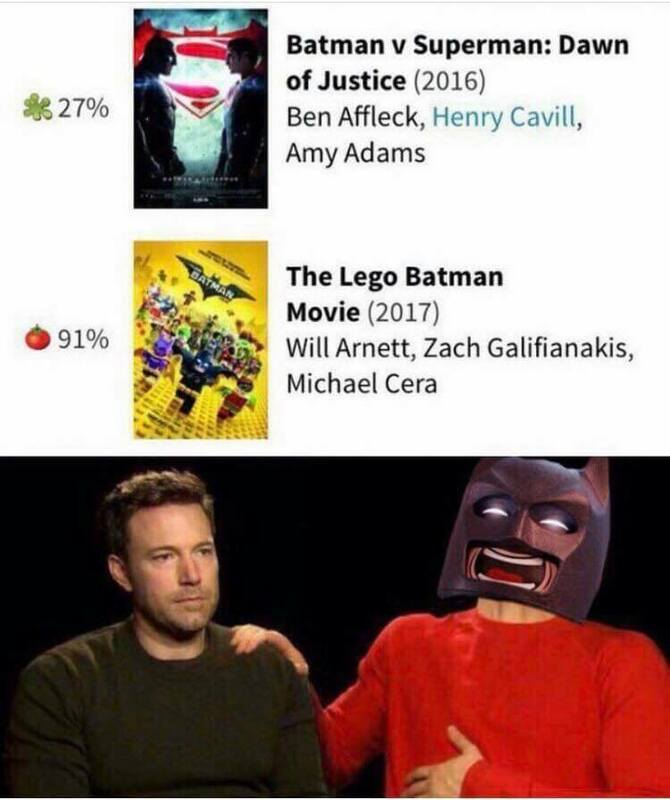 It might be safe to say that this movie is going to make more box office money than any Batman movie to date. Episode 4: Back to the Beach!